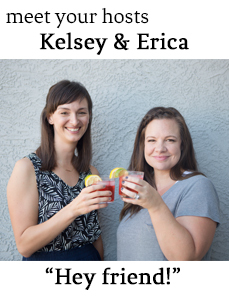 We talk about our every day makeup routines and summer beauty uniforms while sipping on a favorite classic cocktail. Combine first three ingredients over ice, give a stir. Top with candied ginger peel, this spicy variety takes it up a notch. In current obsessions, Erica finally picked up these cute acrylic tumblers she's had her eye on, and Kelsey is loving her new toddler-proof outlet covers.